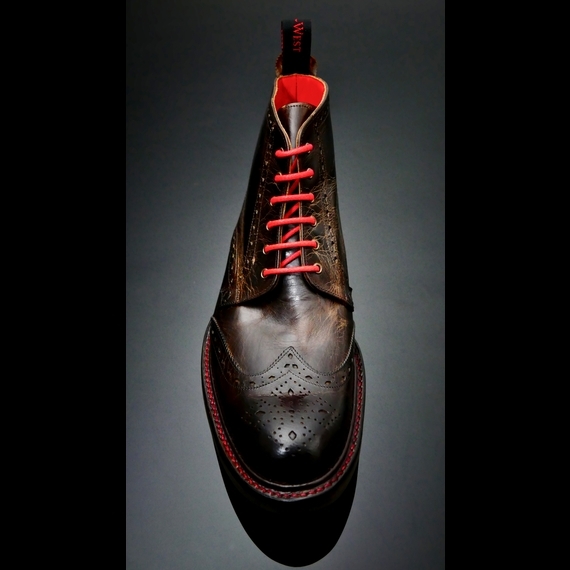 The Hannibal Classic Brogue Derby Boot in the distressed Chocolate Mad Dog leather, with red welt stitching, and Cross Punch on the toe. 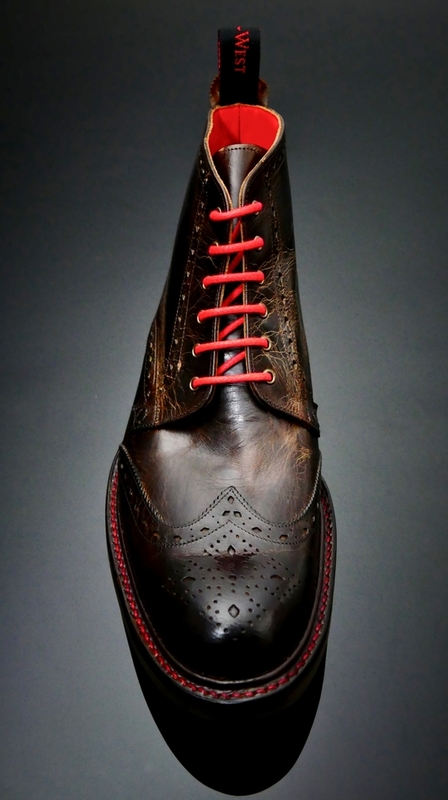 This style features the Ridgeway Rubber Sole and a red leather interior. To read more about Hannibal and Sir Anthony Hopkins please visit our HEROES section and Media page.